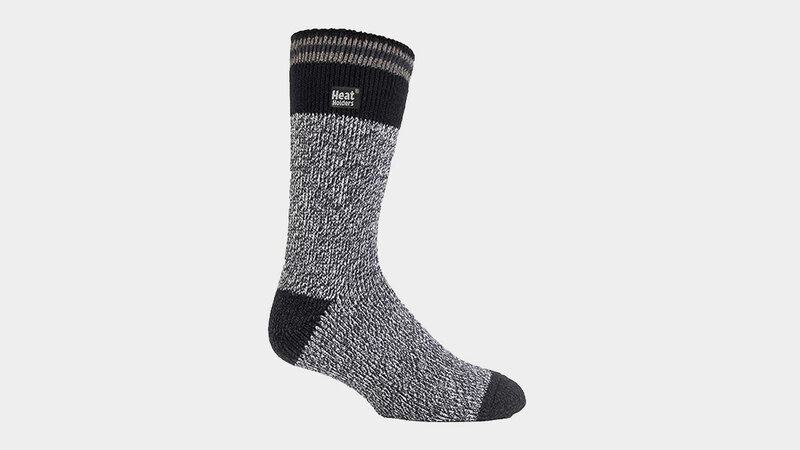 BEST MENS THERMAL SOCKS | muted. 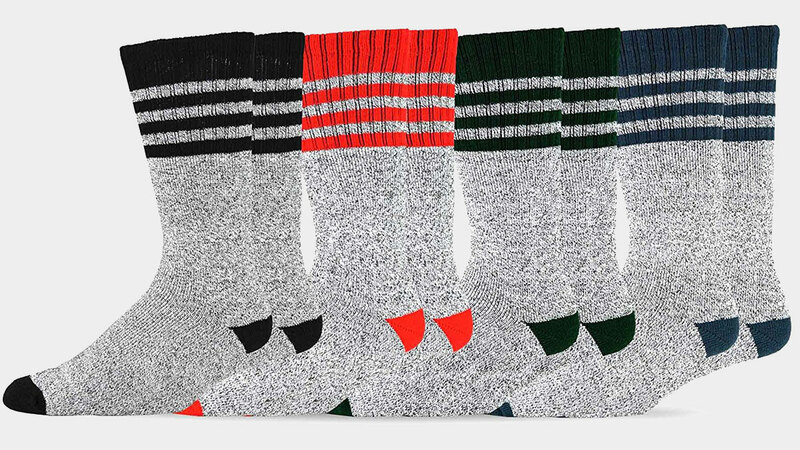 We’re starting to get to the time of year where you’re going to want the best men’s thermal socks in your drawer. These socks are heavyweight socks that provide you with extra padding, and bulk for those cold treks. Each of the socks in this list are made not only to keep your feet nice and toasty, but also to help absorb and disperse moisture. They utilize materials like wool which will keep you comfortable in a wide range of temperatures and can absorb 30% of its weight in water, or synthetics that provide a great fit, dry fast and wick moisture away from your feet. Whatever activity you have planned our suggestions will give you plenty of options. 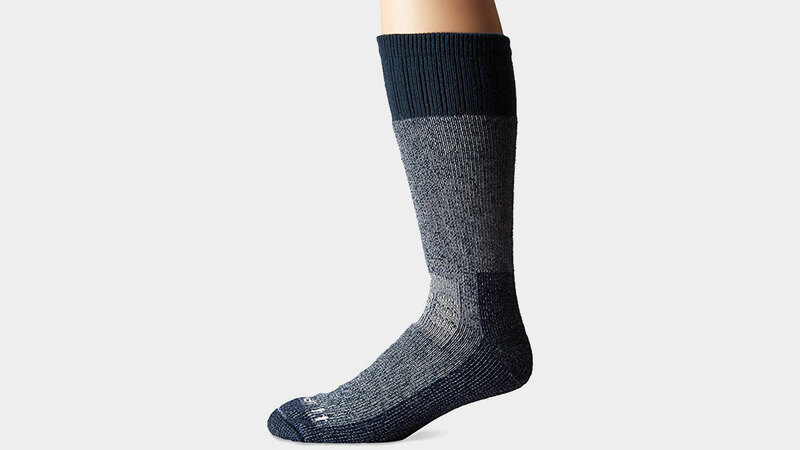 The Carhartt Men’s Extremes Cold Weather Boot Socks ($11) are a wool and synthetic blend that feature a FastDry technology that wicks sweat away for maximum comfort. This technology provides the maximum protection against the elements. Additional features include full cushioning, reinforcement throughout the sole, ankle vents, and odor control. A great sock everyday wear. The Smartwool Unisex PhD Outdoor Heavy Crew ($21) is made from a Merino Wool synthetic blend. Merino wool is itch-free and temperature regulating. So whether you’re running, hiking, or riding your feet will stay comfortable all day. 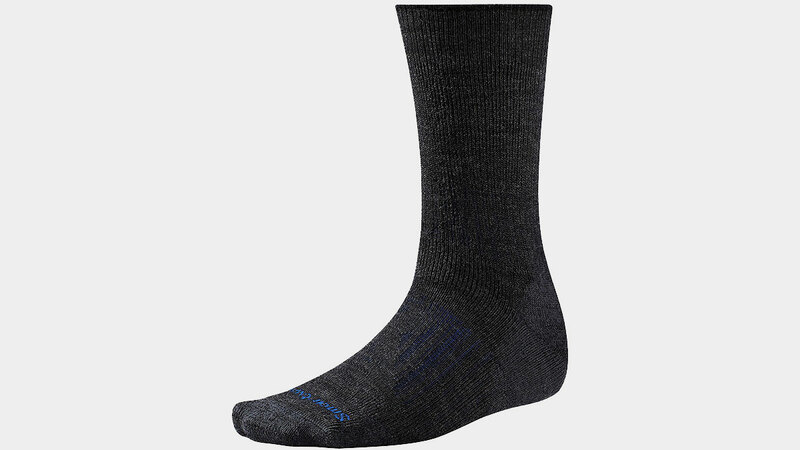 The Smartwool Crew is made from 73% Merino Wool, 25% Nylon, and 2% Elastane and has a number of features. These include a seamless toe and a comfortable overall height of 8.5″. Another great pair of socks for everyday wear. Sometimes you just need an inexpensive warm sock for everyday wear. The Soxnet Eco Friendly’s fit the bill nicely. They’re a thermal socks specifically designed to be worn under boots and feature a fully cushioned foot and leg to absorb impact. Please keep in mind that these are a cotton sock and if you’re going to be very active and need a sock for sweat wicking I would look at other options in our guide. The Dickies Men’s Acrylic Thermal Boot Crew Socks ($12) are a part of Dickies arctic region thermal collection. They’re engineered with premium materials specifically to control moisture and provide superior warmth and comfort. They feature an 84% high bulk Acrylic synthetic blend, moisture wicking fibers which provide cushion throughout the foot and leg, a reciprocated heel and toe which are reinforced and padded for added durability and comfort. These are probably the best socks on the list. 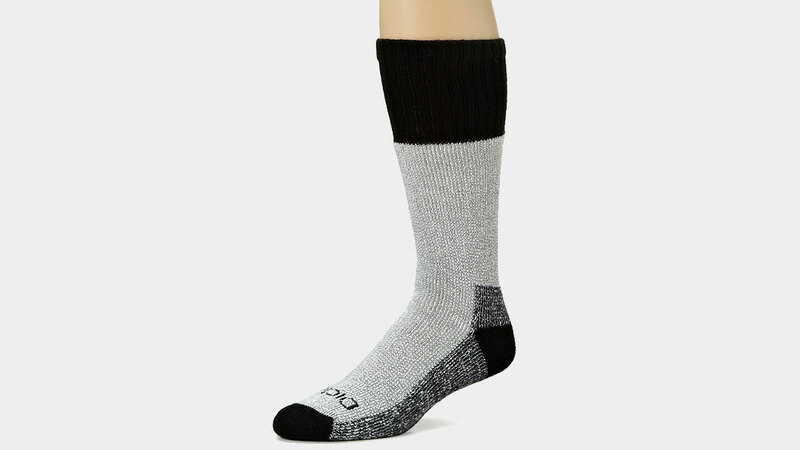 If you’re looking for a sock specifically developed for insulation against the cold and with superior moisture breathing abilities then the Heat Holders Men’s Original 2.3 Tog Winter Thermal Socks ($16) are for you. They are made from %91 acrylic that has an extra long loop pile that holds in warm air and increases the thermal tog rating. TOG stands for Thermal Overall Grade. It’s a scientific test that measures the thermal (heat retaining) capacity of fabric. A basic cotton sock has a tog rating of .33 tog, and a standard thermal sock has a rating of .89. The Heat Holders have an incredible tog rating of 2.34. That’s a rating of over seven times warmer than a standard cotton sock. The inside of each sock is expertly brushed to maximize the amount of warm air held inside each sock. Acrylic is used to keep your feet dry. But these guys will also compete with your favorite woolies for warmth. They’re available in over 30 colors to fit any outfit or occasion. I’m always keeping my eye open for the perfect beanie and it looks like I might of found one worth consideration. The Flatspot AIC Wool Watchap ($49) is a 100% wool cap that can handle any winter day with style. Each cap features a Horween leather label and comes in multitude of colors.